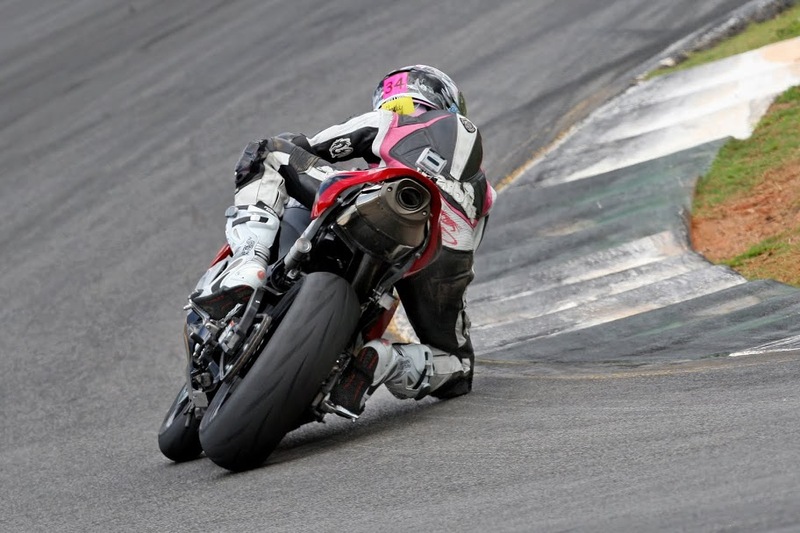 In his second year of motorcycle roadracing Jonathan Finn won the Canadian Motorcycle Association – Canadian National Mini Roadracing Youth Championship. He was only 7 years old. Since then he has gone on to re-claim the National title, been named the Peter Lenz Forever 45 Scholarship recipient, and placed third overall Nationally in Formula Thunder after he moved up in class. In the following interview young Jonathan answers some of my questions. Q: When did you start riding and racing? A: When I was 6 years old. Q: What do you like about riding and racing? A: When I’m riding I like the power the bikes make. When I’m racing I like passing, battling for positions, and winning. A: I have a 2004 HRC NSR50R and 2004 Suzuki RM65 Motard. Q: Who are your racing idols? A: Dani Pedrosa, Nicky Hayden, and Peter Lenz. Q: Who do you look up to or want to be like? A: I look up to Peter Lenz, Dani Pedrosa and Valentino Rossi. Q: When you go to school do people believe that you race motorcycles? Q: Do they think it’s cool? A: Most kids where I grow up are into hockey and they think that road racing is not a sport. It makes it tough for me to talk about racing because the kids in my school don’t know or really care about it. Q: What is the hardest part about racing motorcycles? A: All the travelling to and from all the National races we go to. We drove over 7500kms this past summer just for Nationals. It’s a long time on the road. Q:What else do you like to do? A: MX, BMX, soccer, and referee minor hockey. Q: What was it like to be chosen as the Forever 45 Scholarship recipient? A: Surprising and awesome! To be chosen is very honoring for me. I still watch Peter’s videos on YouTube. Q: What did you like about private coaching with Misti. A: Being able to learn a lot more about my racing. She made things seem really simple and easy to understand. Q: What was the most important thing you learned from working with Misti? A: My reference points and corner speed. A: Two youth National Championships, being able to adjust to my bigger bikes, and being able to go from the back of the grid at the beginning of the season to the front as I became more confident on the bigger bikes. A: Canadian National Mini Roadracing Association (CNMRA). A: For next year I want to be more consistent with my riding and try to stay in the top five at each race. A: I would like to be the first Canadian to be invited to compete in the Red Bull Rookies Cup, and I’m hoping to make it in Moto3 – MotoGP. A: That racing motorcycles is better hockey! The interview continues below with a few questions for Jonathan’s dad, Shawn Finn. Q: Do you ride and race as well? A: I do ride but as for the racing, with Jonathan starting to compete at higher levels it requires alot more effort to set-up and tune his bikes. So I have taken a step back from racing for now to make sure he has the best and safest equipment under him. 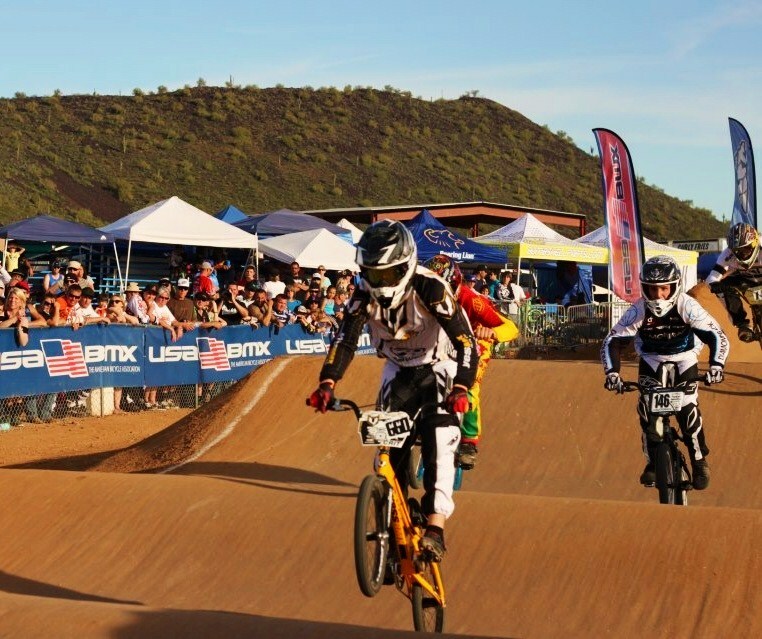 Q: What is it like to watch your kid race? A: Exciting and at times hard especially now the Jonathan is competing against teenagers and adults. But he makes us proud with the maturity that he demonstrates on and off the track. 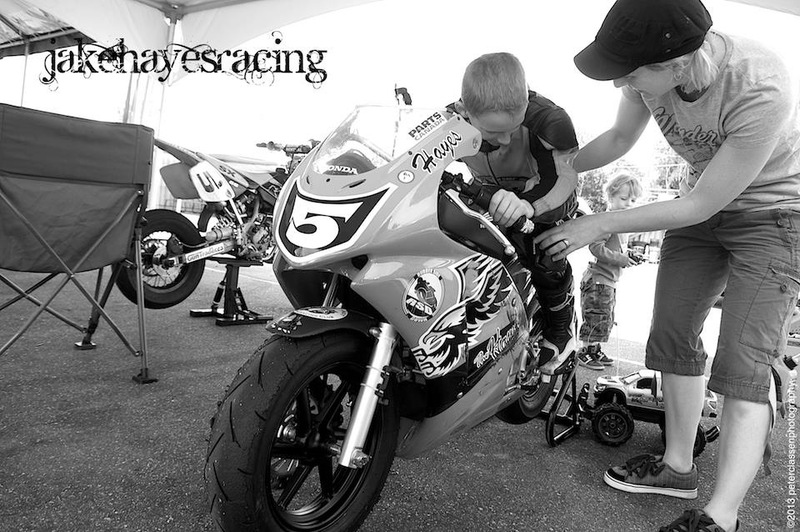 Q: What is the hardest part about having a kid that races motorcycles? A: Not being able to go to the track everyday. Both Jonathan and I, in fact the whole family would be at the track any spare moment if there was one close by. We try to get the boys as much seat time as possible on their dirt bikes in between track sessions and national rounds. A: That planning is essential in establishing a rhythm for the season and a routine for every event. The season is very much a marathon from May thru October and it’s easy to get burnt out. I think the biggest thing we have learned is to do everything as a family. Sharing the highs and lows together definitely brings us closer. Q: Where do you hope to see Jonathan in a few years in regards to his racing? A: Jonathan has a dream of being the first Canadian to compete in the Red Bull Rookies Cup and I hope that he is able to continue to develop his racing so that he live that dream. There are many people including his family that are supporting him but it does come down to Jonathan and his own riding. 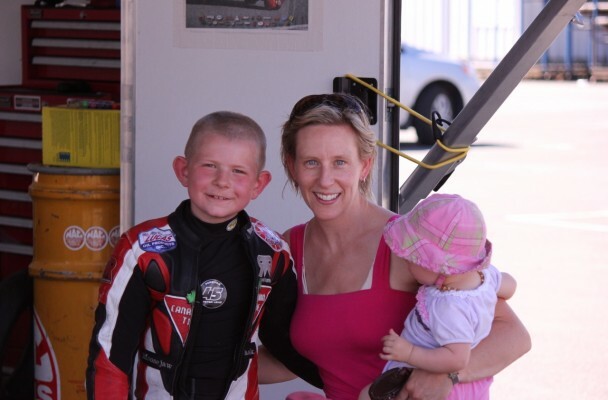 Q: Is there a lot of information or help for parents of kids that ride and race? A: Compared to hockey or even kart racing, no. The mini roadracing scene in Canada is very much home grown with a lot of the information and knowledge coming from local club memebers. The 4 clubs that make up the CNMRA are very well established and able to assist newcomers to the sport. Outside the clubs themselves, very little information is available. Q: What do you wish you knew 5 years ago? A: That my boys would love roadracing! Then we could have started racing a year sooner!